Make money and give back for a good cause! 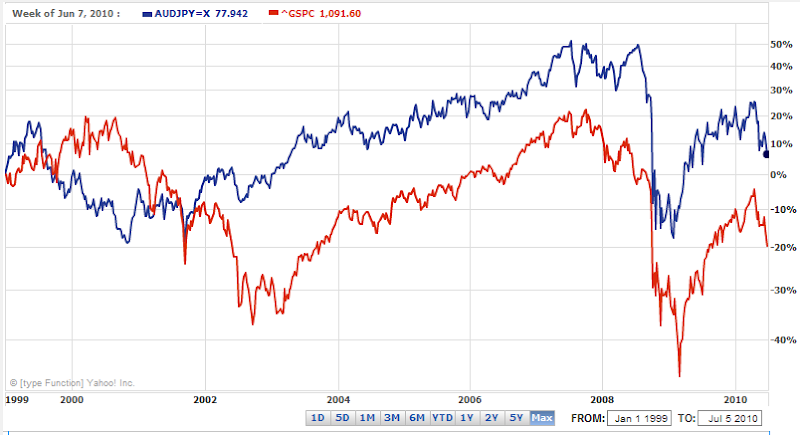 For market observers, it is well known fact that AUDJPY and S&P500 have quite high correlation. 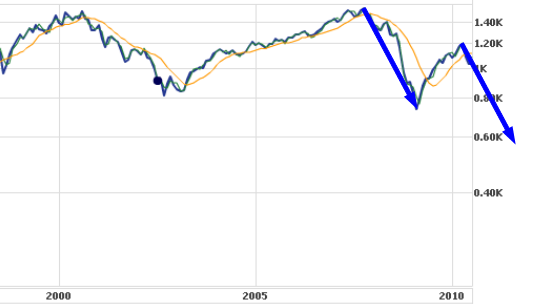 Here is the chart from Yahoo, and high correlation started somewhere around 2003 as far as my rough visual observation goes. There is no guarantee it will be this way in the future, so we have to be careful in using this “temporary” fact. The readers of this blog know that I’m very bearish AUDJPY. And in my experience, Elliott wave principle saved me from losing money even more than helping me to make money. Here is the recent example in gold market. The Dow, which now stands at 9,686.48, is likely to fall well below 1,000 over perhaps five or six years as a grand market cycle comes to an end, he said. That unraveling, combined with a depression and deflation, will make anyone holding cash “extremely grateful for their prudence. I don’t want to agree with him, because if he’s right, we’ve basically got to go to the mountains with a gun and some soup cans, because it’s all over. in the same New York Times article. Still, I think my view is categorized into super bears compared to the median’s view. I’m keeping the majority of my 401k and Roth IRA as the cash equivalent position until I change this view. * Trading and investing carries a high level of risk and may not be suitable for everybody. Before deciding to trade or invest, you should carefully consider your financial objectives, level of experience and risk appetite. Any opinions, news, research, analyses, software, tools, prices or other information contained herein is intended as general information about the subject matter covered and is provided with the understanding that RationalMove.com is not rendering investment advice. $ZAR Tokyo Financial Exchange “slipped” S African Rand rate against JPY by 3395pips, originally uploaded by Rational Move. of the sudden it dropped by almost 28% or 8.415, and closed at 8.435.
clearance of the liquidation on November 2 (Mon) with the rate. of Yahoo! Answers) and some are twittering on Twitter. The plan in the article may get rejected any time, so please check out my tweets on Twitter. "","","","","$29,058.30","","","","","","","","","","","","","","","","","","","","41.95%","","","2.00%","","","","","","","","","","","","","","","","","","","","","","","","","","","","" Rational Move always use stop loss orders, and this is the worse case potential loss over the capital for the currently open positions. This is unrealized loss is less or equal to the risk exposure. From recent 100 trades (%) The growth right before the 1st trade is set to 0%. This is a normalized value: the return on each trade is normalized against the capital just before the trade execution. This way, it is eliminating the effect by the capital change from deposits and withdrawals. 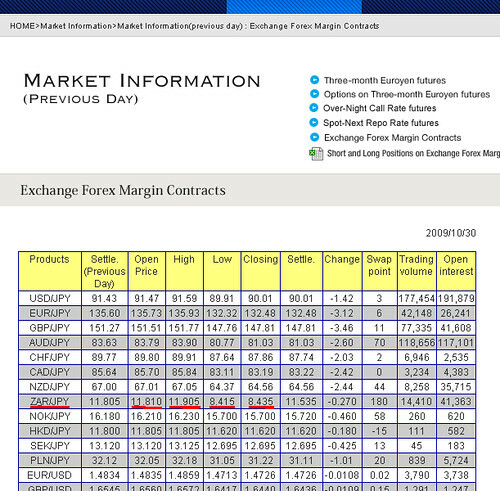 The calculation thus reflects the trading performance of each trade. The value does not contain unrealized profits and losses. RM's trading strategy never risks more than 5% of the present capital. Not including subtraction by tax. Click on symbol (ex. USDJPY) to change the chart. Also click time (e.g. EURUSD (M15) ) to select time. Rational Move original. Free!Online introduction to Elliott Wave Principle! …and there is 4th element!? Rational Move's real challenge on $. Make a difference. Click here. Trading and investing carries a high level of risk and may not be suitable for everybody. Before deciding to trade or invest, you should carefully consider your financial objectives, level of experience and risk appetite. Any opinions, news, research, analyses, software, tools, prices or other information contained herein is intended as general information about the subject matter covered and is provided with the understanding that RationalMove.com is not rendering investment advice.